I’ve been debating whether to start a cruise travel blog. 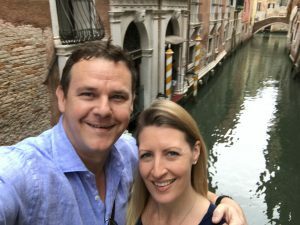 There are so many travel blogs out there already, and I wanted this website to be a resource for travel agents and travellers to gain insider information on cruising, not just to hear my ramblings on my day to day travels. However, after discussing with a few people, I’ve been told that people will actually find this interesting and useful, so please follow along and interact with me along the way. Or don’t. I won’t be offended! How did I get into cruising? Well, when I was a wee young lass and my parents took me onto the original Love Boat… Ha. Not exactly, although I did feel like I was practically brought up on the water as I was lucky enough to have parents with a motor cruiser, so weekends and school holidays were spent either on the River Thames heading up between the Barrier at Tower Bridge and/or out from Southampton, across to the Isle of Wight. Our first boat was called Chapter Four, a 30ft Seamaster, the second was Merlin G, a Fairline Phantom and the last was Maleesh, a Broom 970. I have so many incredible memories on each of those boats, hanging out with family and friends, going out in huge storms and big swells, sadly witnessing a dead body in the water, watching my mother lose her eyebrows in a fire on board, and spending many nights lying on the bunks with my sister, listening to the therapeutic sound of the rain hit down on the deck above us. And always with our dogs, they loved the boats too! Anyway, fast-forward about 15 years… I was working as an Event Manager in London and was really over the long commute into the office each day (about 10 minute drive to train station, 45 minute on train then 45 minute walk – in the days when bombs were being threatened on tubes and buses). 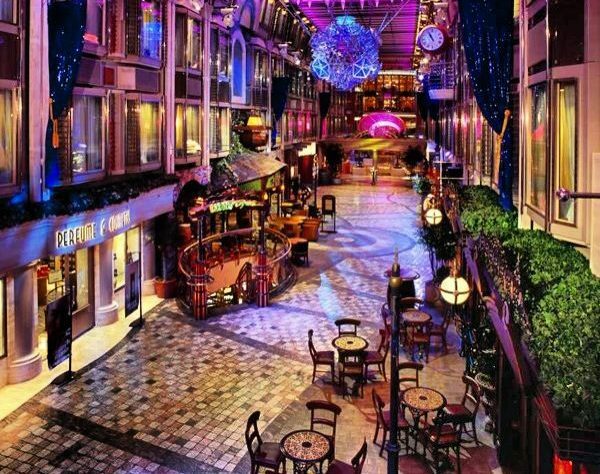 I saw a position going at Royal Caribbean for an Event Manager, whose office was in Addlestone which was about 20 minutes drive from my home – perfect! Three interviews and full presentation later, I got the role and 2 weeks following that, I was stepping onto Liberty of the Seas in Southampton for her inaugural celebrations – wow! I will never forget that first time walking onto a Freedom Class ship, one of the largest in the world back in 2007. This was like a floating hotel, a shopping mall at sea! I stood overlooking the promenade and thought, I have just scored the best job in the world, this is where I’m meant to be. The addiction began. Despite working insane hours and running a crazy number of events every day that week… I loved every minute of it. I was ‘tri-branded’ managing corporate and special events for Royal Caribbean, Celebrity Cruises and Azamara Club Cruises. A role I picked up again after moving to Australia, working in the Sydney and Melbourne offices and I was also able to travel on other cruise lines with Beven who was a Guest Entertainer, which gave me further experience into this unique industry. Where to start…the food, the wine, the destinations, how easy everything is… As a sales person, we often trained on ‘why cruise?’ and I fully agree with all the points I taught. Only unpack once, yet seeing so many different places is fantastic. Being able to budget from the start – especially if you get a drinks package – is one other less stress. Having your cabin nearby for an afternoon nap when you fancy it…winning! I am a fitness girl, so I also love having a good gym a short stroll away so I can start the day feeling like I’m ahead of the calorie game and don’t feel so guilty eating all the yummy food or having that extra cocktail. Whilst you can be connected with great internet on most of the ships, I actually quite like being disconnected. How many times can we really do that in this day and age? Basically only on planes and ships (and even on planes it’s changing). This allows me to be more relaxed and fully present with whatever I’m doing on the ship. And breathe. Finally, those who follow me on Insta or know me personally will know that I’m a massive water addict. I don’t know if this is the piscean in me, or my upbringing as mentioned above, but I absolutely LOVE and need to be by the water – it’s 100% my happy place. Bingo. So, where am I cruising to next? Clearly I’ve started a cruise travel blog because I am actually cruising regularly…and you may have seen that Beven has recently started his new career as a Cruise Director for Viking Ocean Cruises. The best thing about this is that I can cruise with him, without restrictions – YEY! He’s had a month to learn the ropes and get into the swing of it (and he’s totally killing it!) so next week I join him in Copenhagen to continue on. He does 4 months on a ship and 2 months off (although with some guest entertainer gigs in this ‘off’ period still) so basically I will be cruising for up to 8 months of the year – pretty cool aaaannnd a little surreal! The ship is in the Baltics at the moment, so I will be blogging about Denmark, Norway, Germany, Sweden, Estonia, Russia…which is very exciting because this is actually part of Europe I’ve never really explored, and it looks so beautiful! I’ll be completely honest, until I get on board and work out the routine, I don’t know exactly how often I’ll be able to blog, but I’ll aim for at least 3 per week and see how I go. Please do comment and interact with me so I don’t feel like I’m just talking to myself…! If you have read my other posts on here (hoping so!) you will see that I wrap up each one, but obviously this one is ongoing… I’ll separate them out, labelled by date to make it easy for follow. Ok, let’s do this…see you soon!